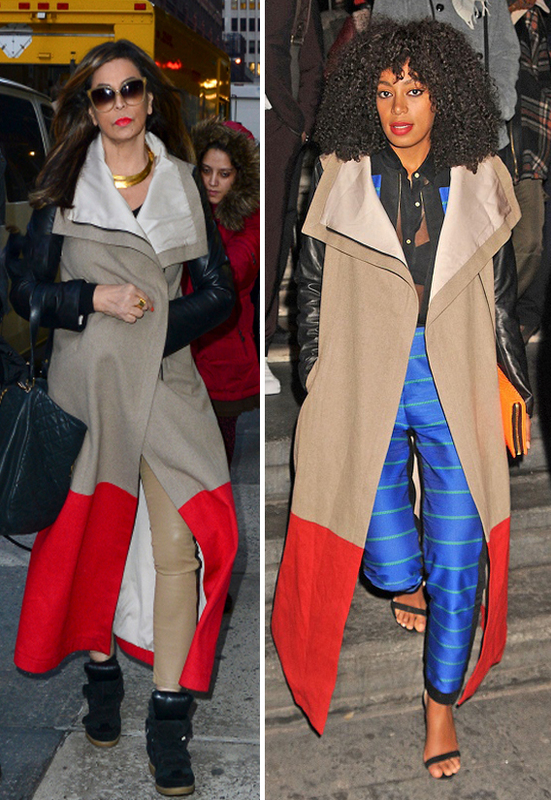 It is mother vs daughter in this Michelle Mason leather sleeve colourblock coat. Who wore it better? Tina or Solange?